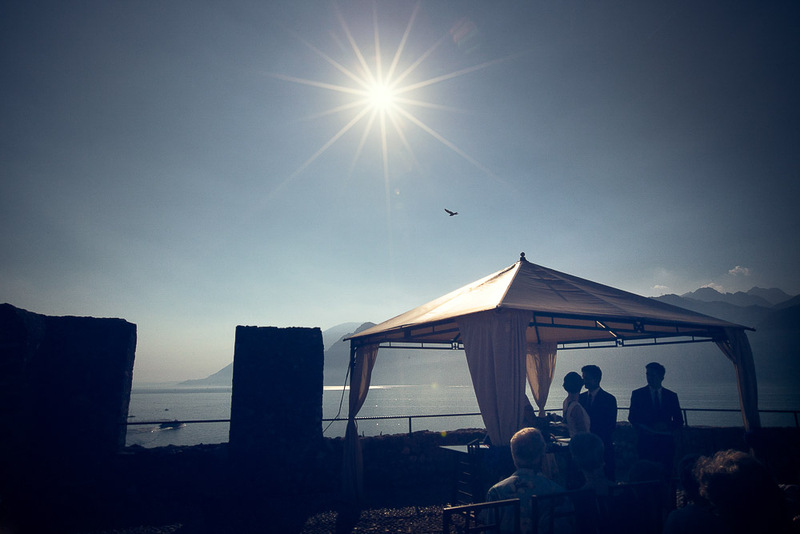 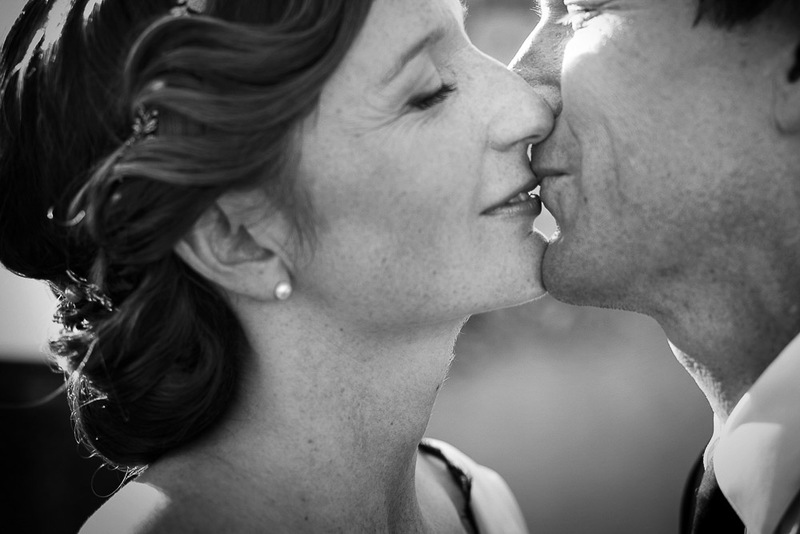 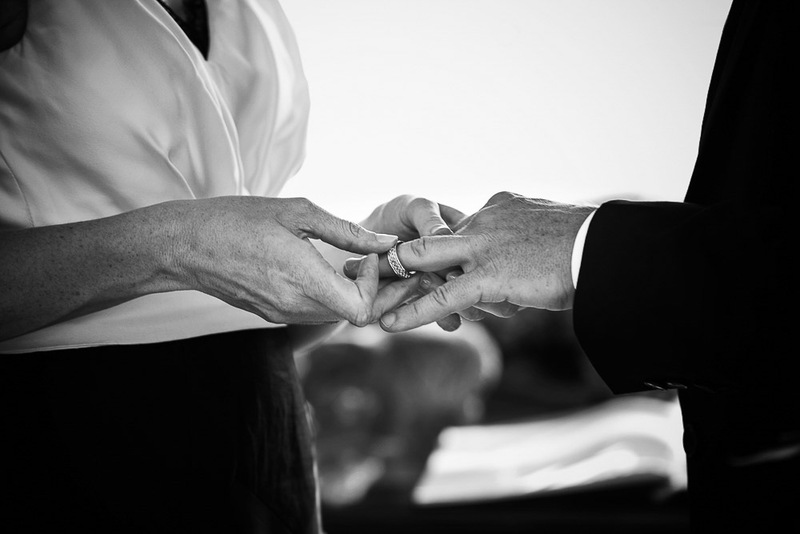 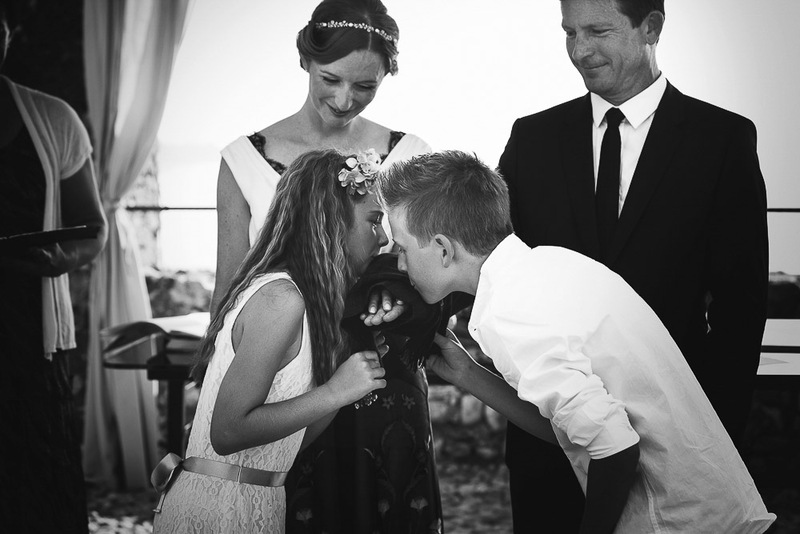 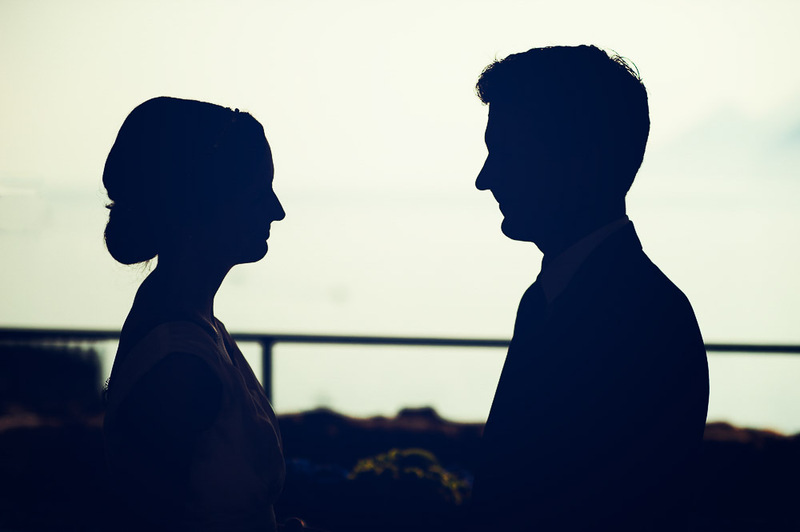 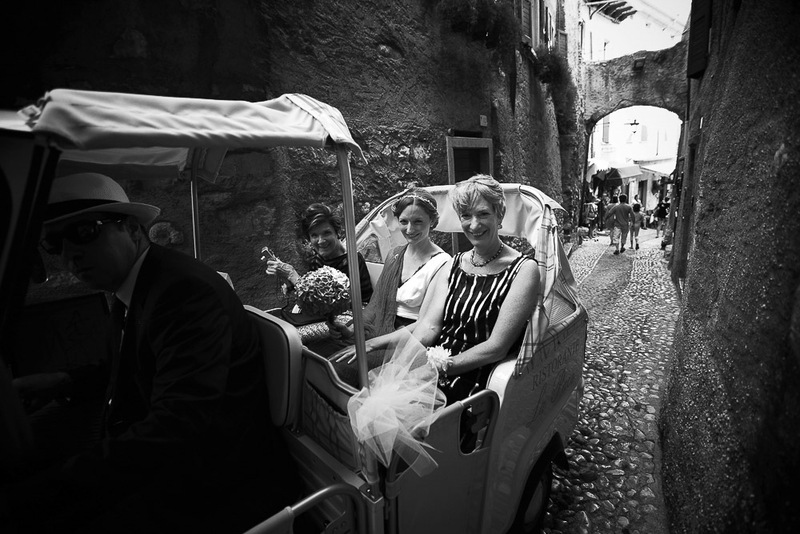 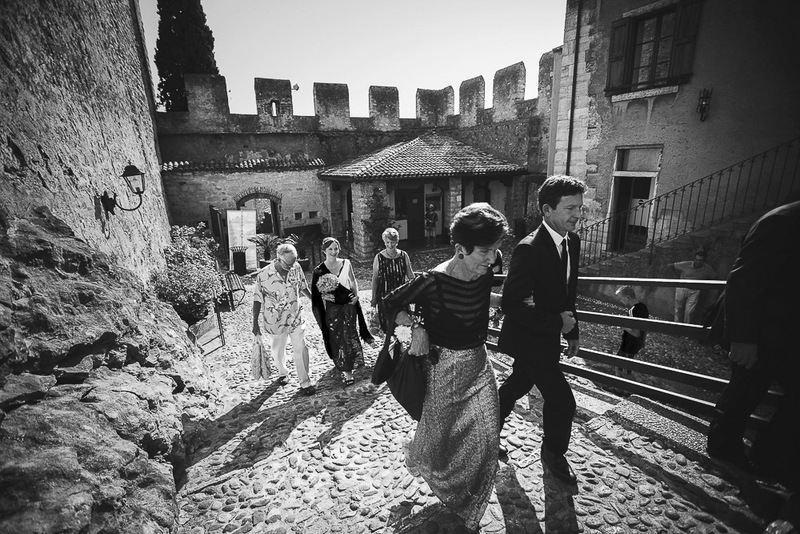 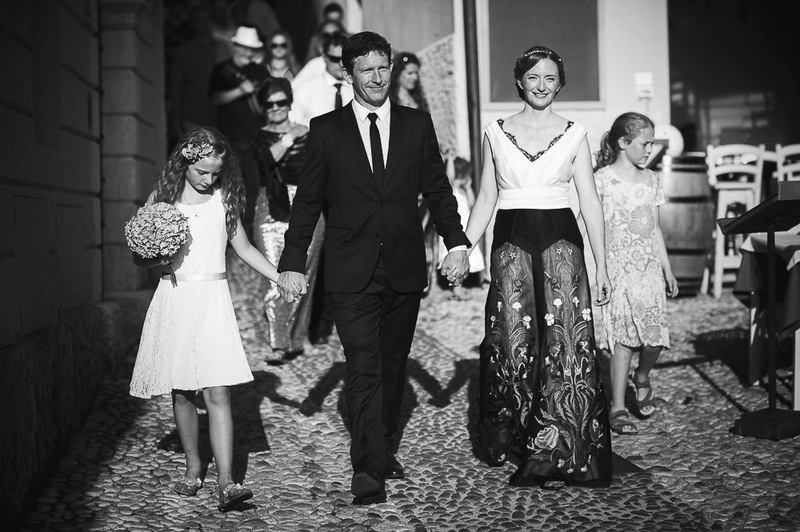 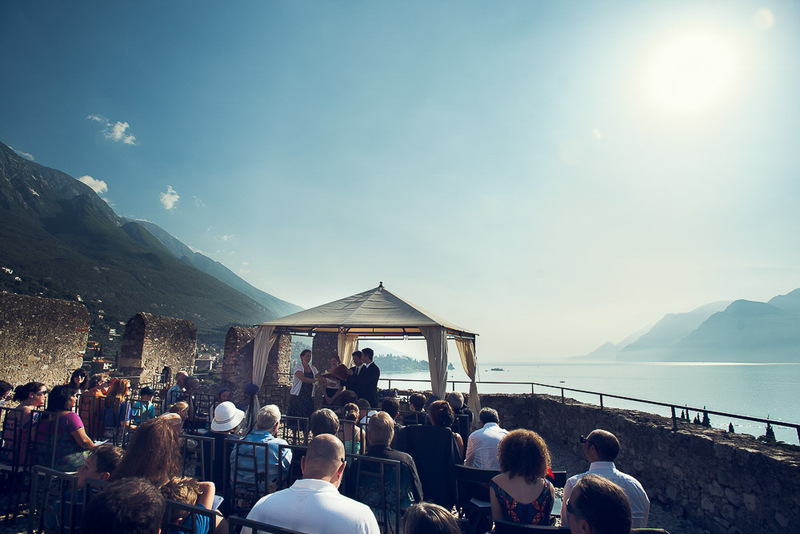 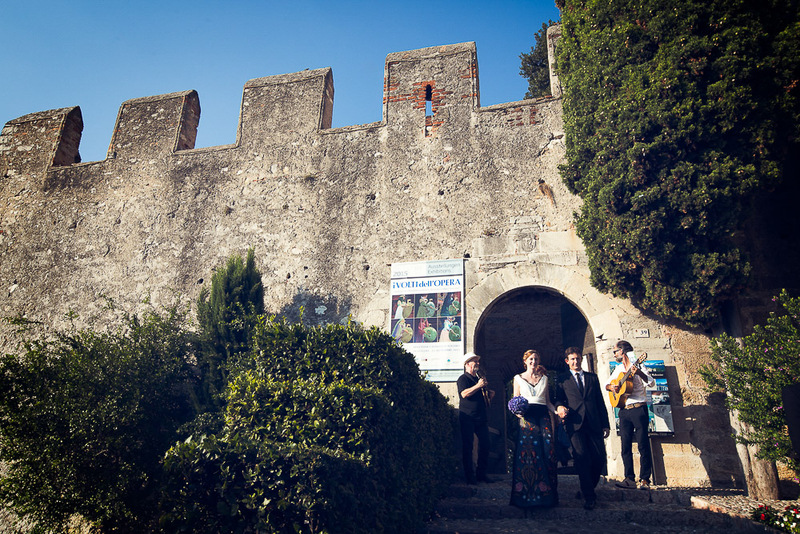 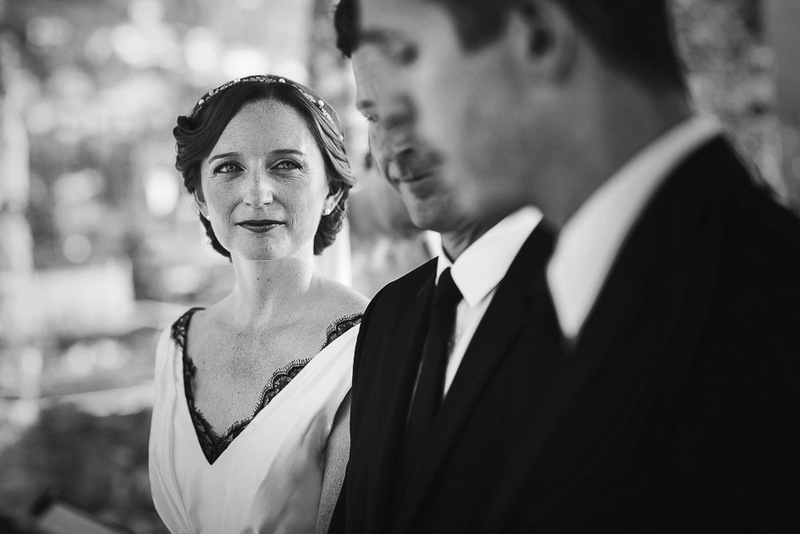 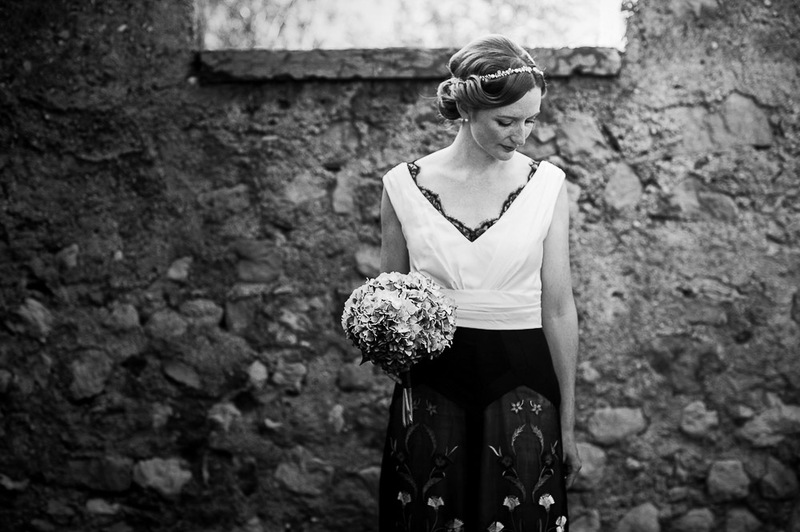 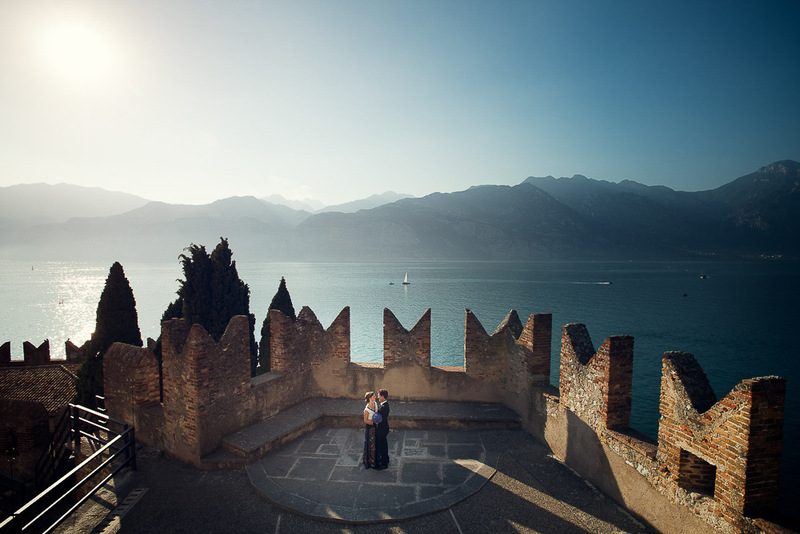 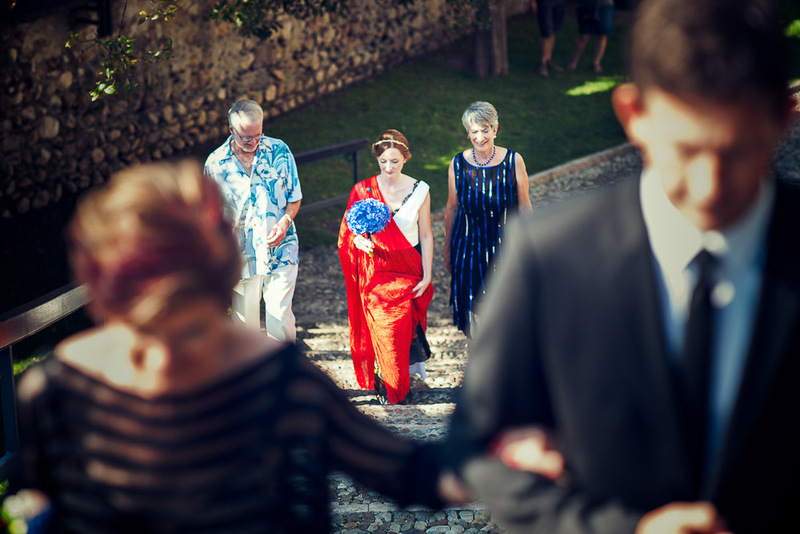 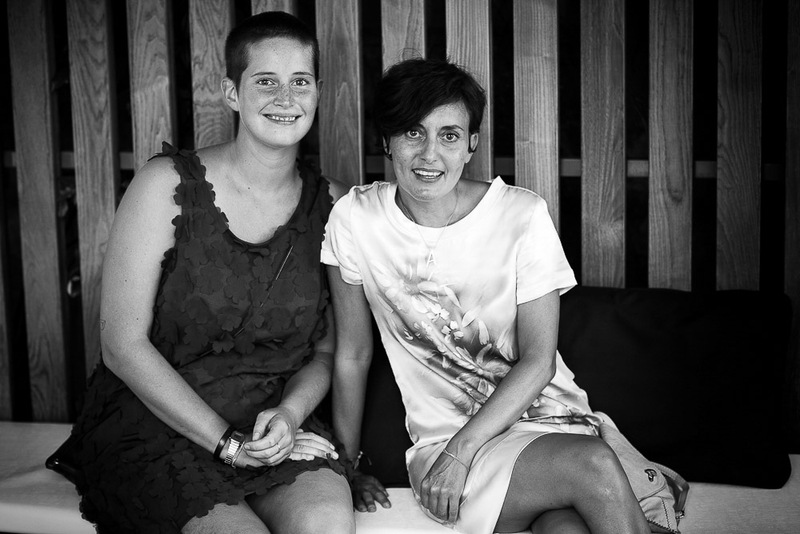 Virginia and Nicholas decided to get married in one of the most beautiful venue in Italy: the Malcesine Castle. 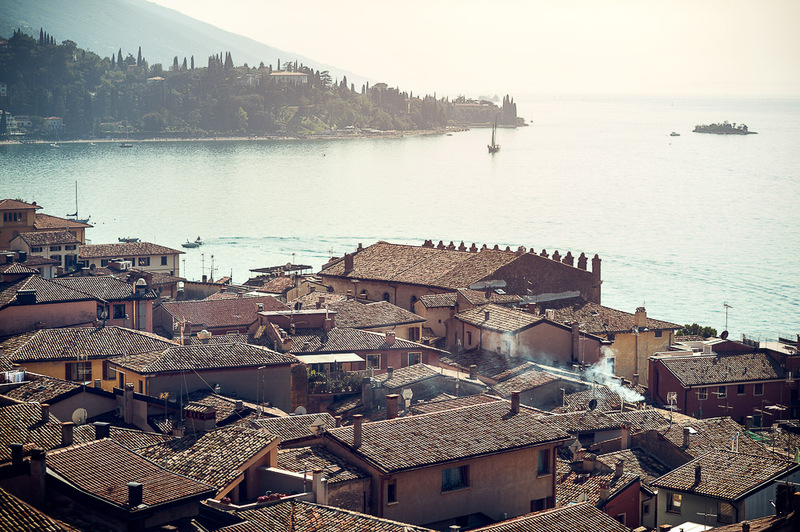 Malcesine is on the eastern side of the lake, in Verona area. 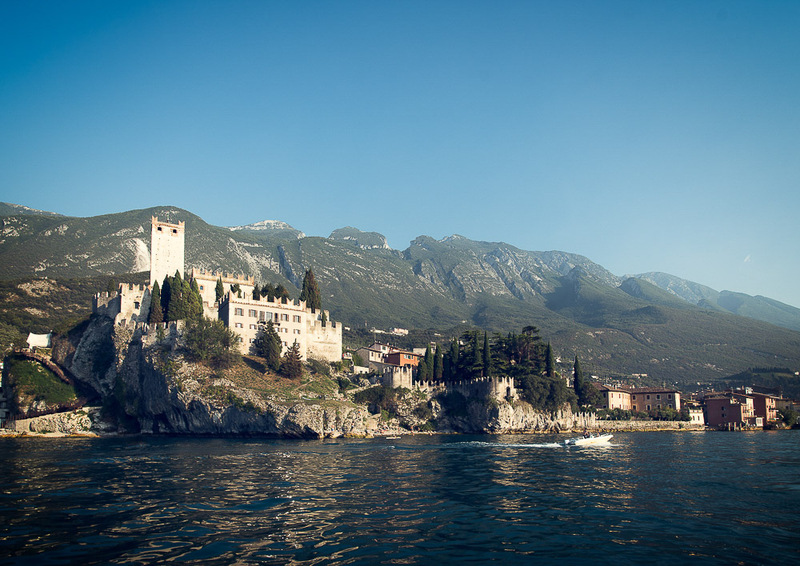 The castle is also named Scaligero, because Della Scala family, lords of Verona, ruled Malcesine for many years. 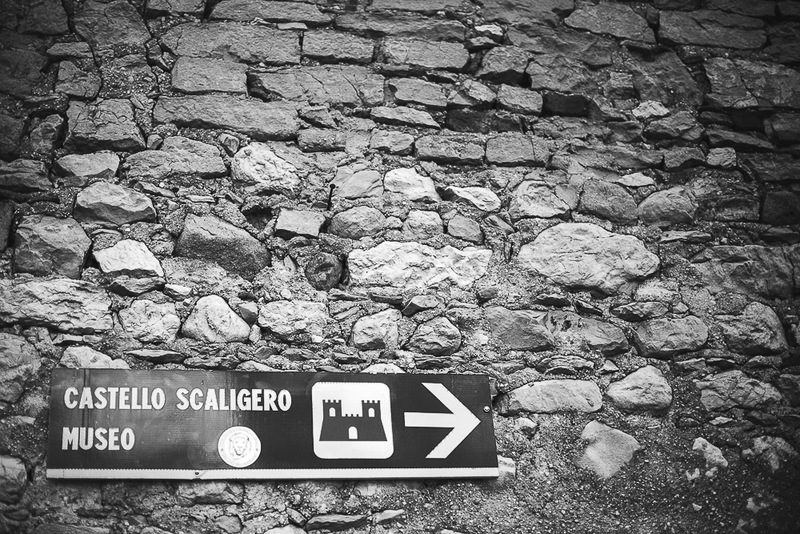 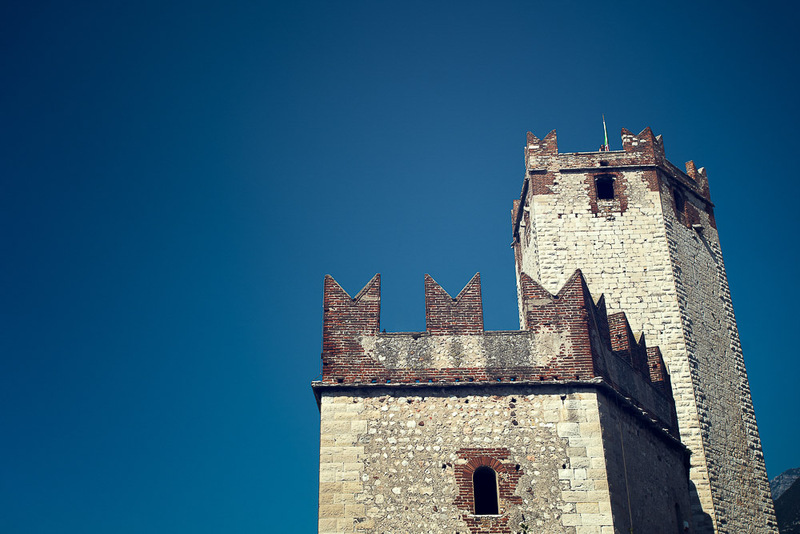 The Castello Scaligero has 13th-century fortifications and an older medieval tower. 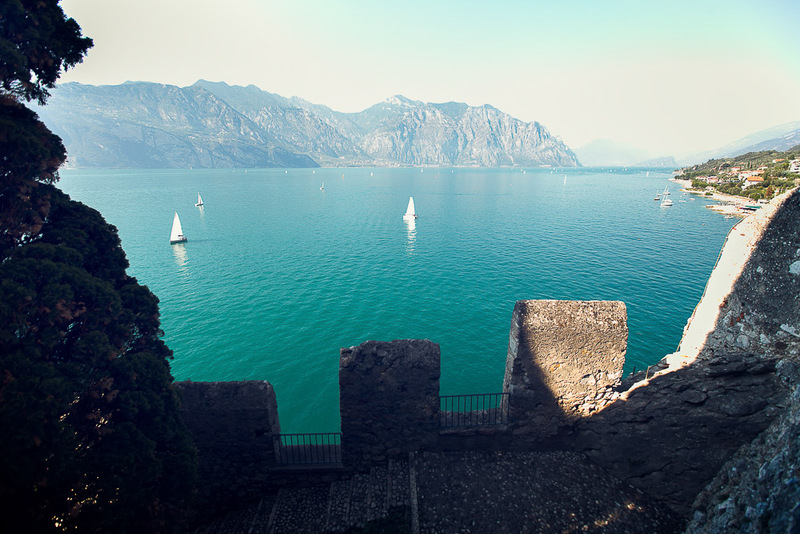 From the castle you have a breathtaking view of the lake and the surrounding mountains. 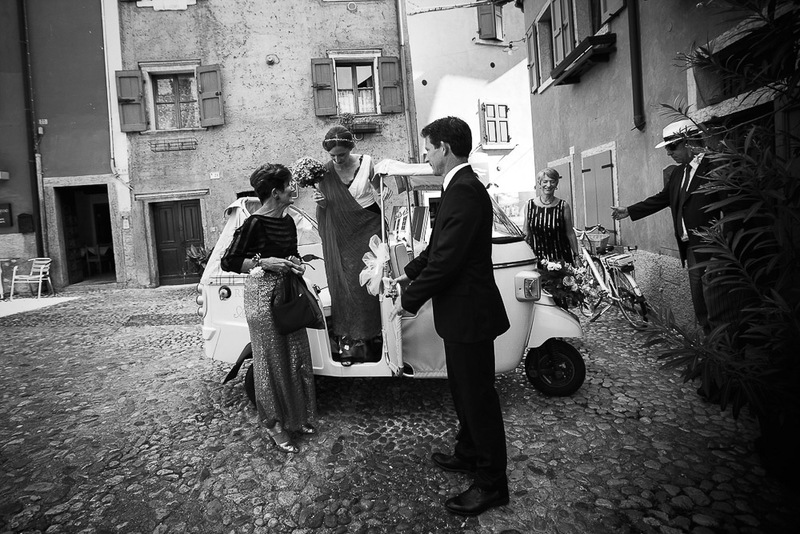 Bride and groom reached the wedding venue separately and, Virginia in particular, by a very typical vehicle: the three wheels Ape Piaggio. 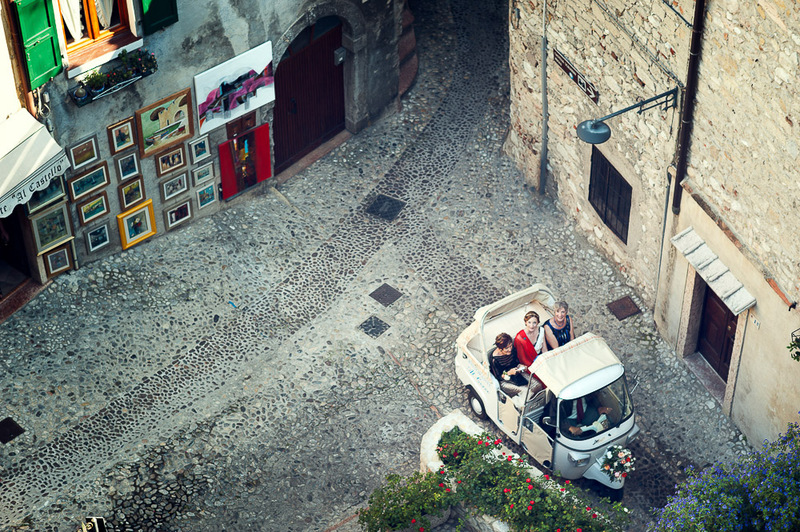 It is the only authorized vehicle that is able to go through the narrow streets of Malcesine. 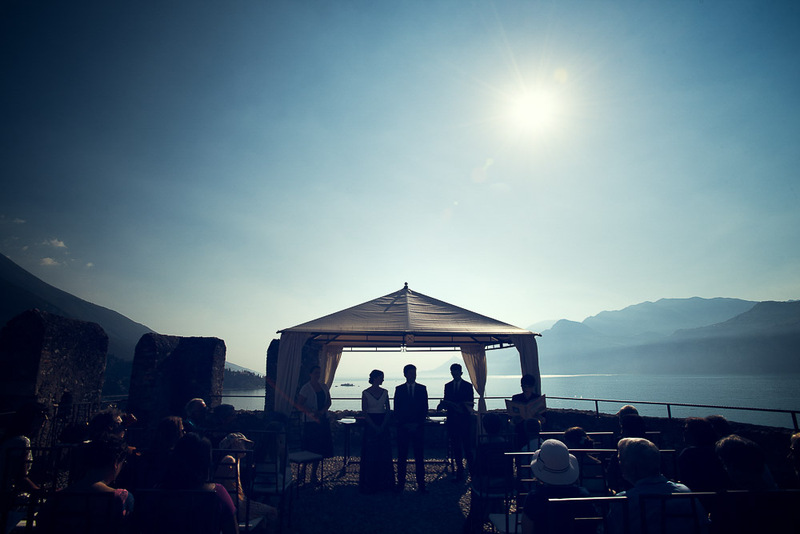 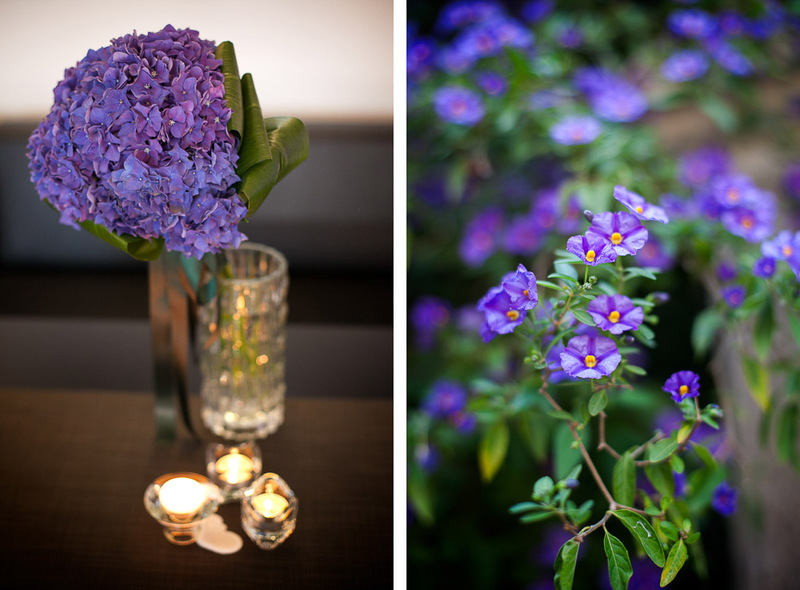 The wedding ceremony was held on a castle terrace with a very impressive view of the lake. 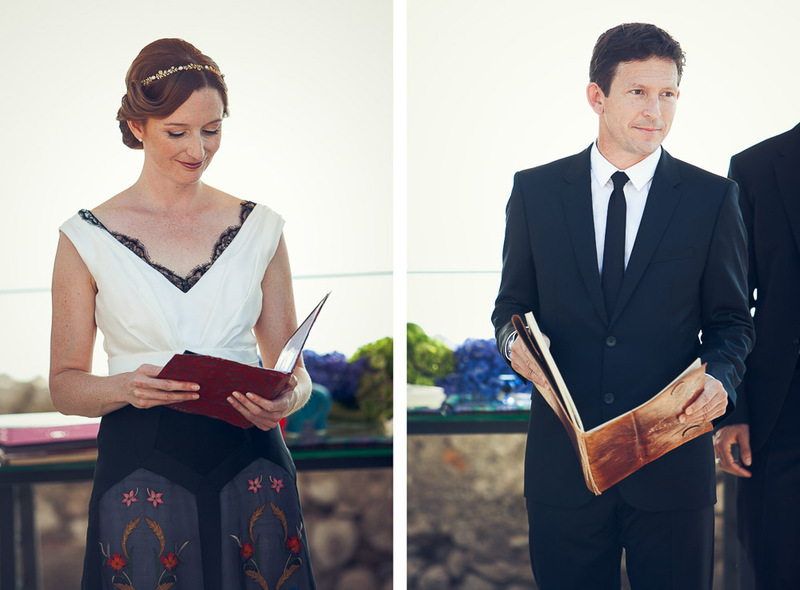 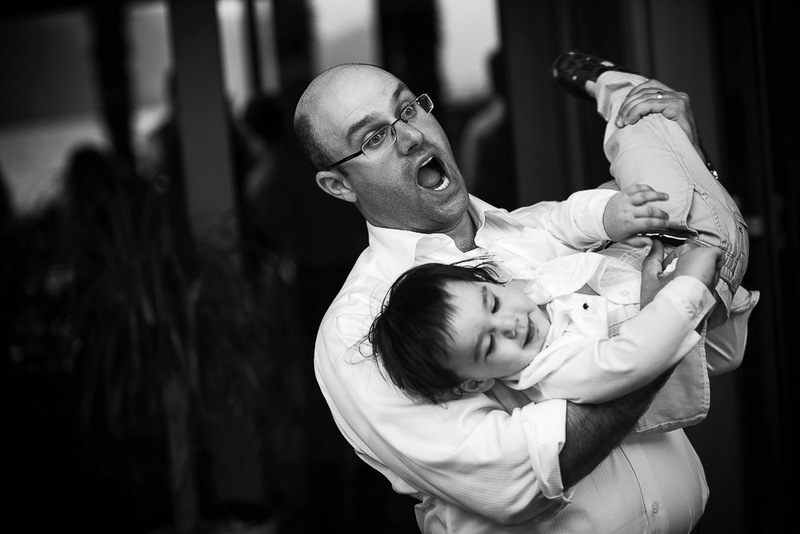 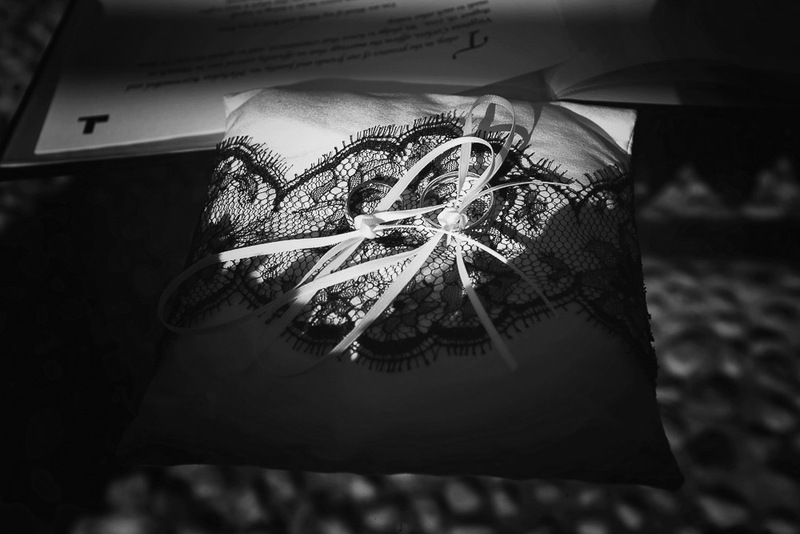 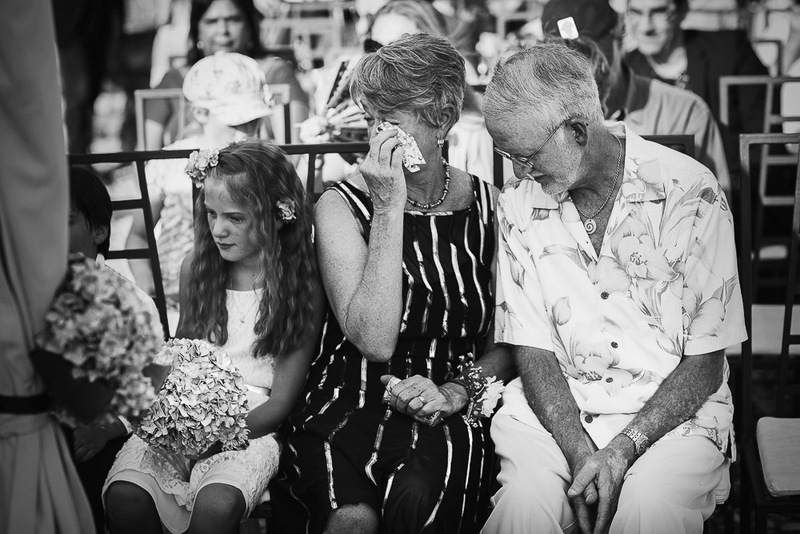 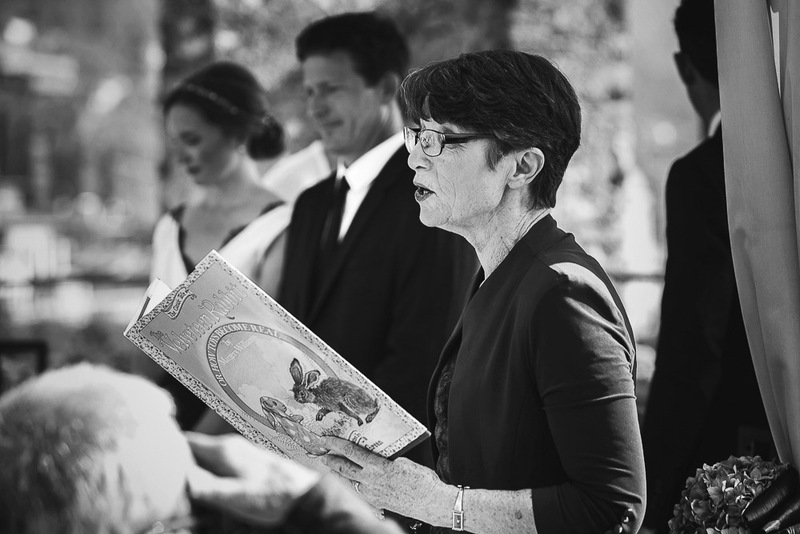 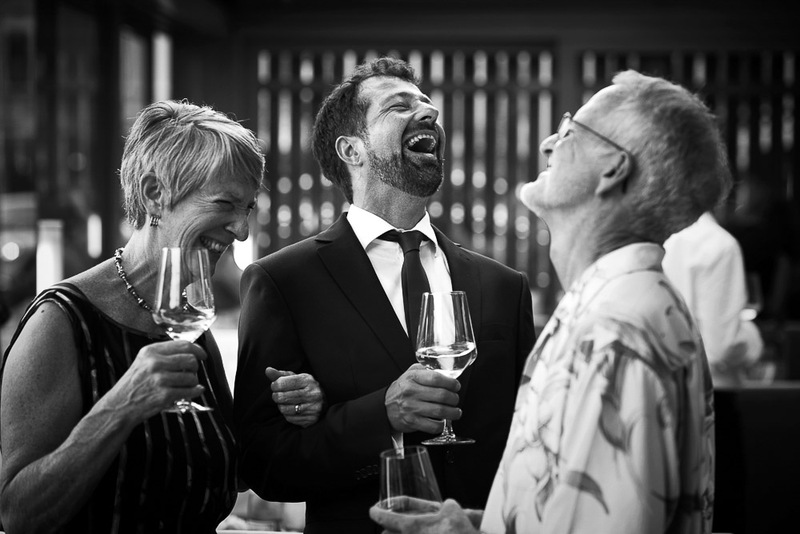 Our couple planned the ceremony without an official celebrant, but many guests got through a reading and some chosen touching reading and some hilarious ones, and that was very nice! 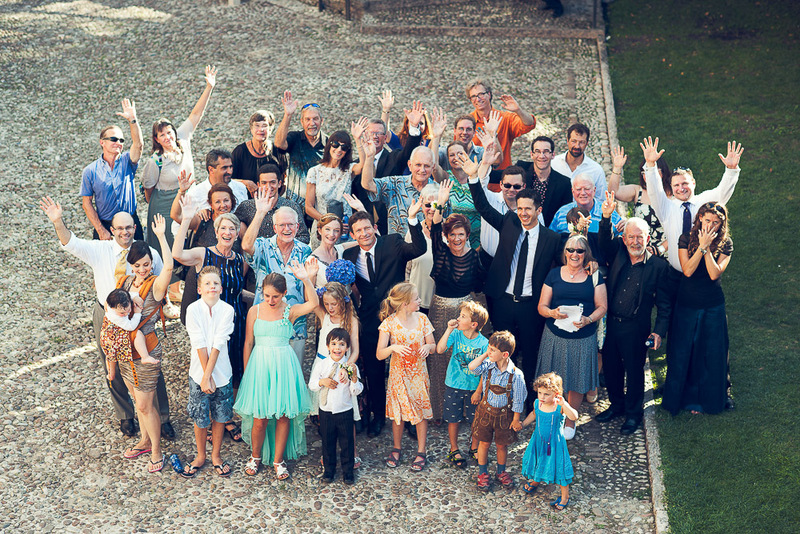 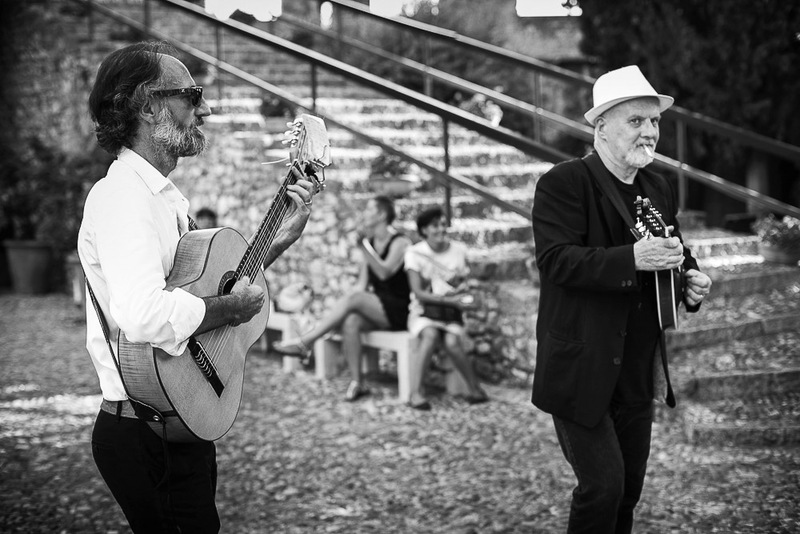 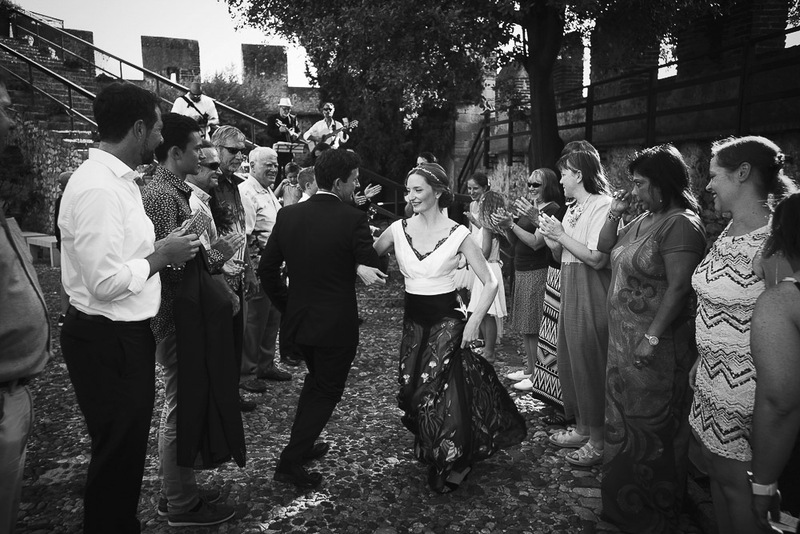 After the ceremony all the guests and the newlyweds had a traditional dance in a castle yard, with two folk italian musicians, playing a guitar and a mandolin. 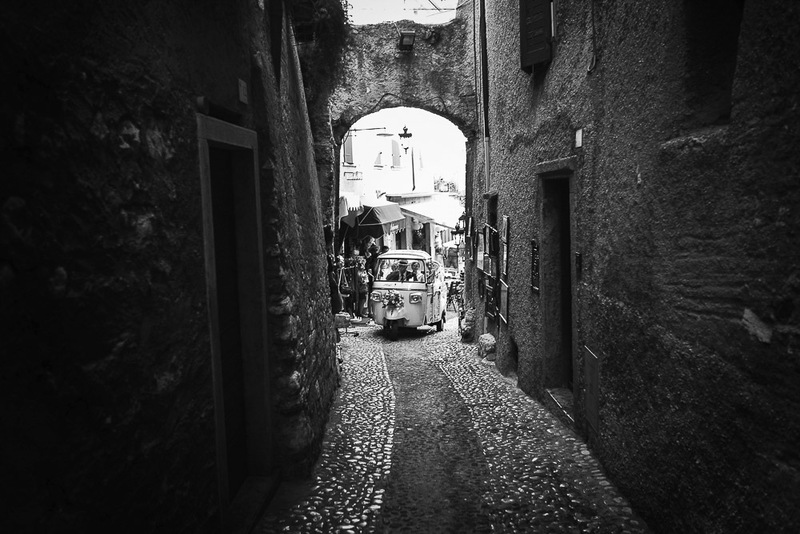 narrow streets of Malcesine, walking from the castle to the harbour, where they took a boat. 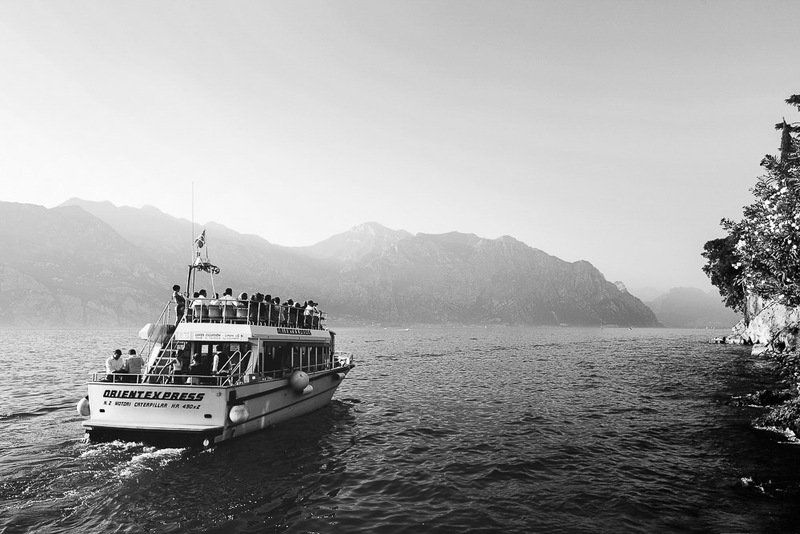 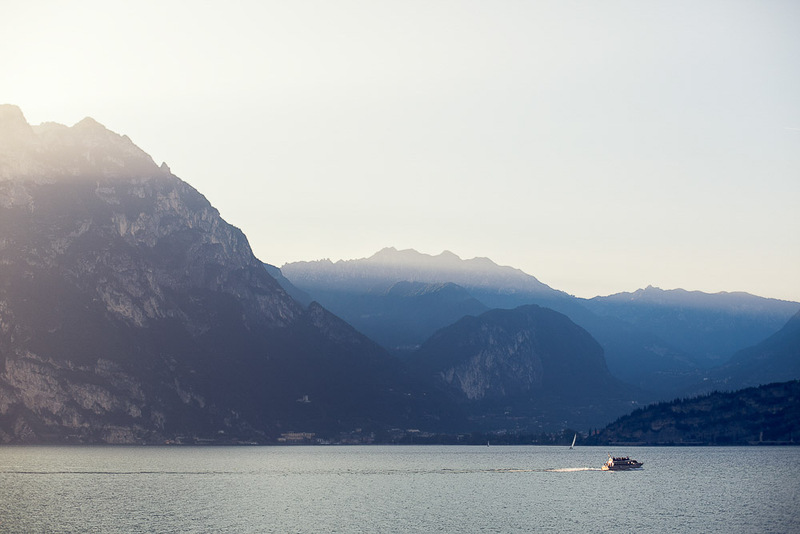 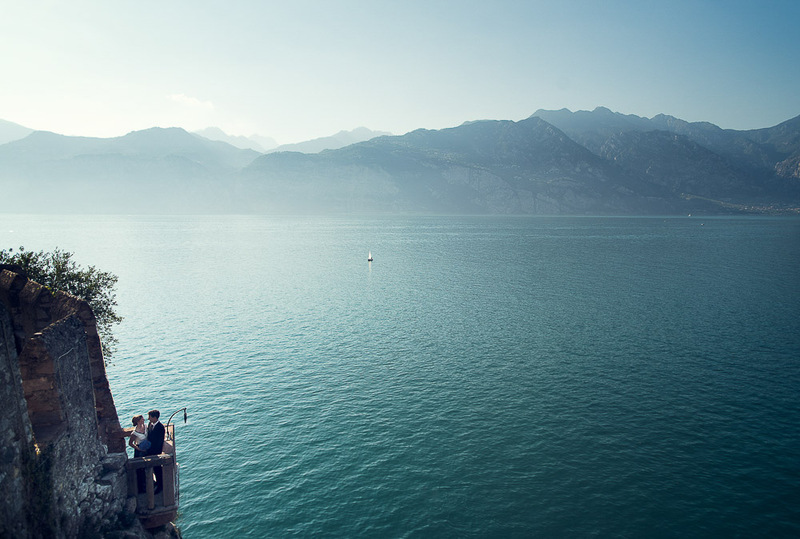 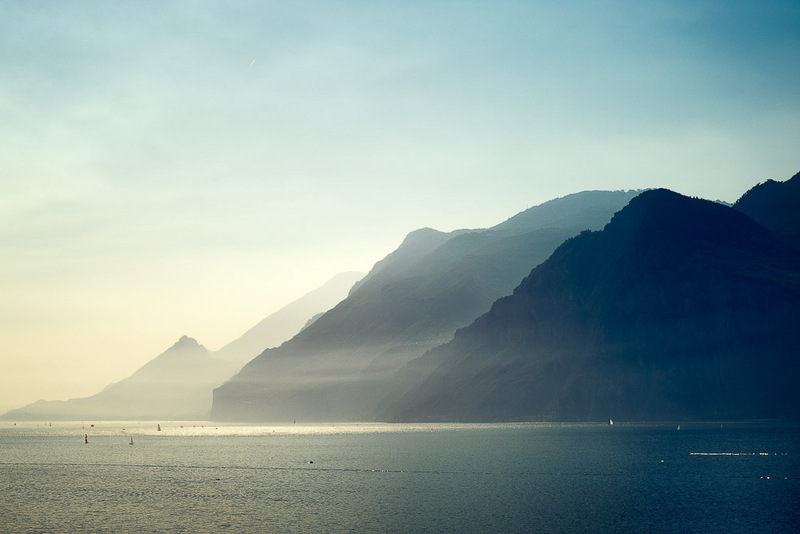 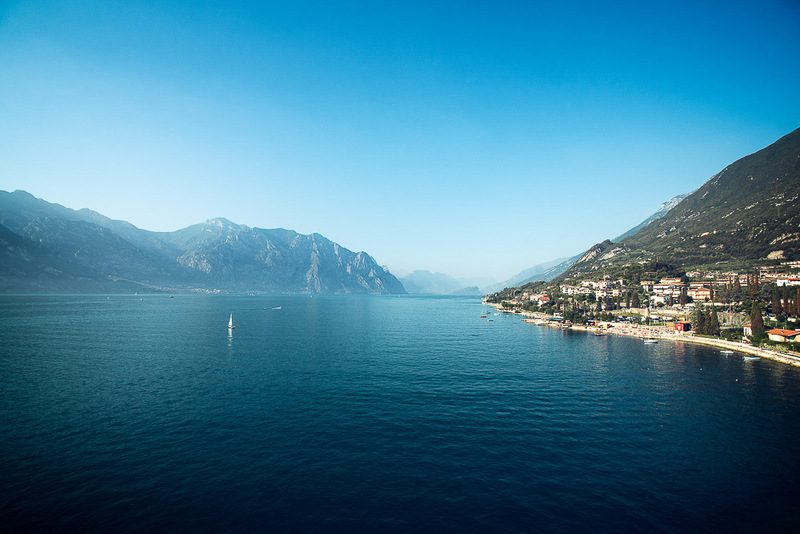 What is better than have a boat trip on Lake Garda during your wedding day? 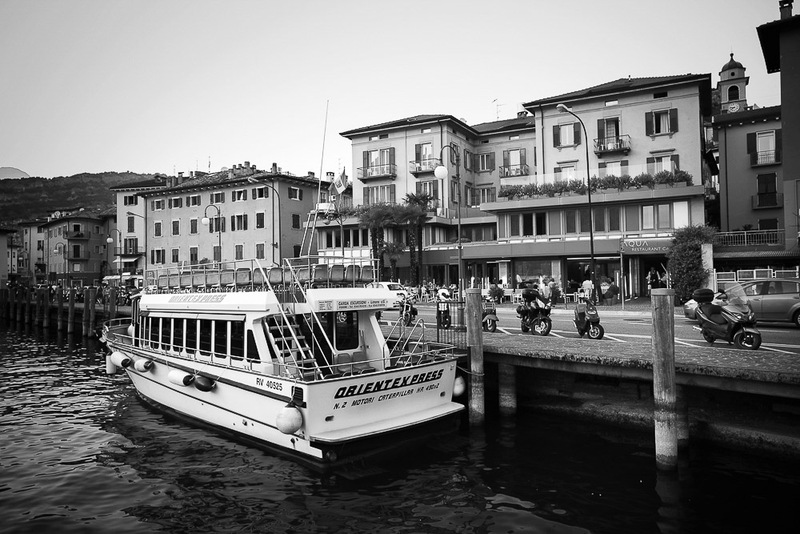 For sure, have a boat trip with prosecco aperitif! 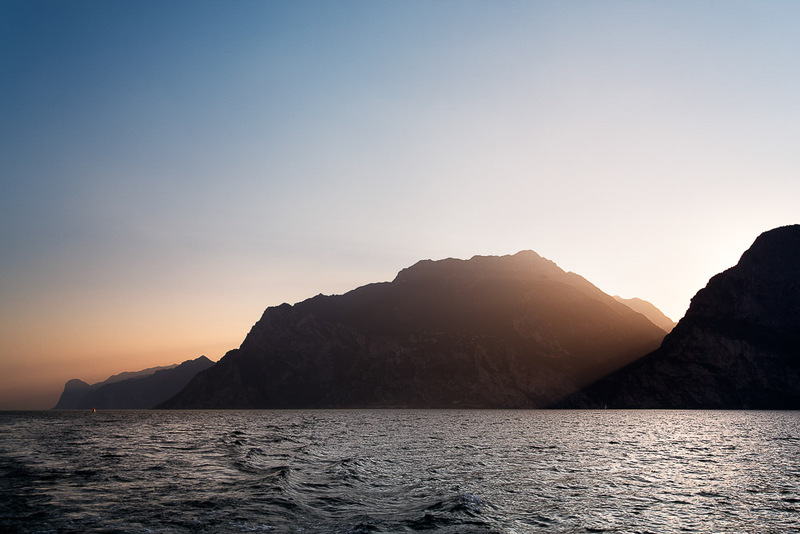 It is amazing to admire the panorama from the middle of the lake, and all the guests appreciated the beauty of Lake Garda, indeed! 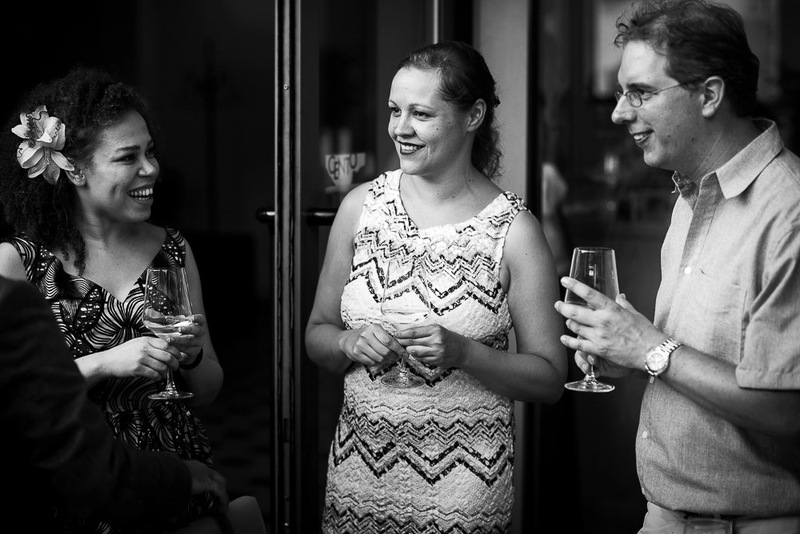 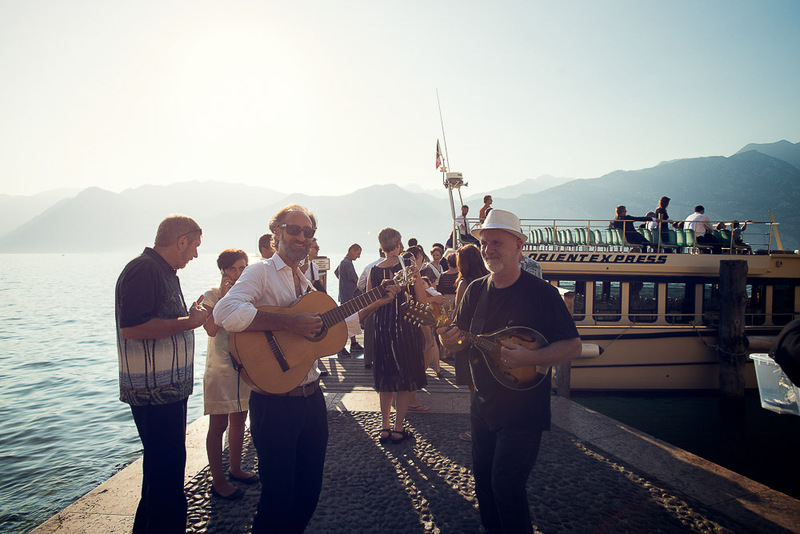 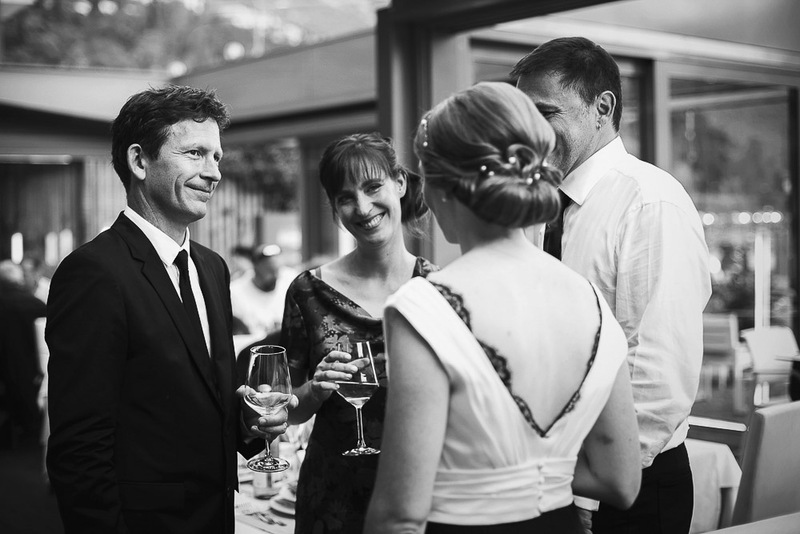 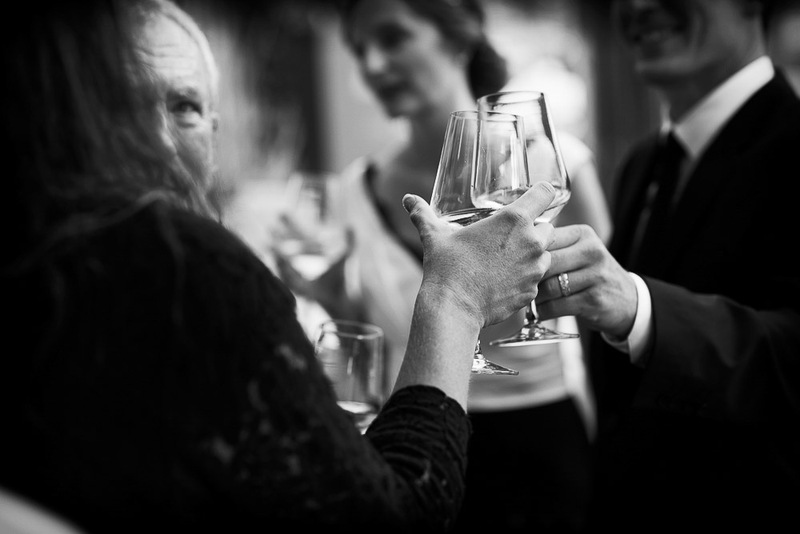 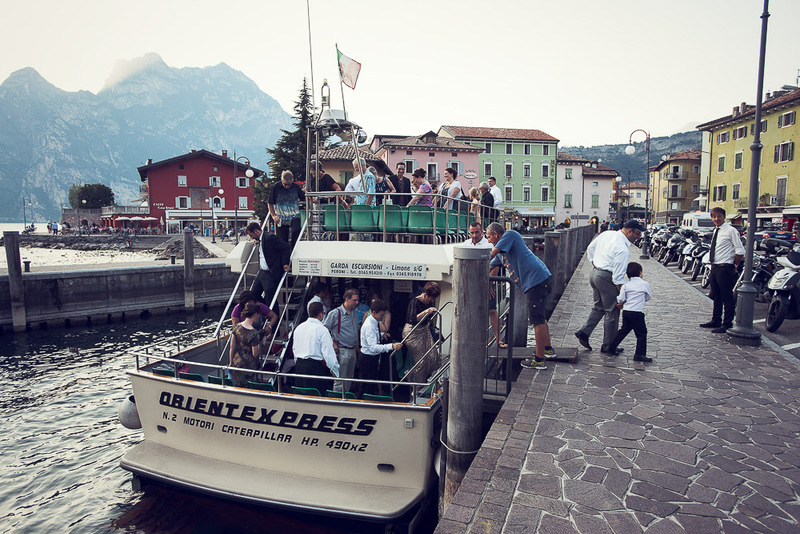 The boat trip ended to Torbole, where the reception was held at the Aqua restaurant: delicious food and good wine were served to bride, groom and their friends and families.